More than 350,000 Americans suffered and died in Vietnam and thousands of Vietnam War vets returned with PTSD. Wounds made in the jungles and rice paddies of Vietnam, Laos and Cambodia found their way back to the United States, carried there by the bodies, minds, and hearts of our troops. This is a novel about six of them—aging combat veterans—seeking treatment in a V.A. psychiatric ward in Montana. 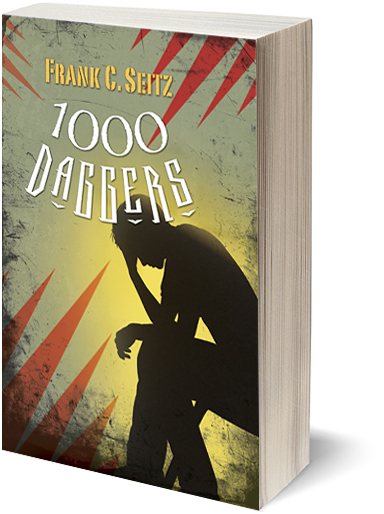 Veterans still bleeding from “A Thousand Daggers.” Their stories are fictional; their experiences are not. Lieutenant Leonard “Lumpy” Lundeen crashes into the Emergency Room of the Montana VA Hospital, psychotic as hell. Or is it psychotic in Hell? He can’t tell the difference. That’s just one of the challenges of this 70 year-old veteran who maintains that he’s three-years-old and precocious. Treatment begins immediately: medication and group therapy, the latter including a Butte Italian muscle builder with PTSD, a depressed professor teaching Medieval Literature in a rural college, a suicidal rancher without cattle, a female Iraq vet with traumatic brain injury, and a lecherous department administrator who wants them “gone” from his hospital. Traumas from the past weave into the problems of the present, creating a myriad of messes that require a “crazy man” to unravel. “[The author] has captured all the nuances of the people, politics, illness, grit and determination that flowed through our psychiatric experiences. He shows the overly analytic approach that we thought was helpful . . . and it was not. He projects a truly genuine love of our veterans and their struggles.” —H. 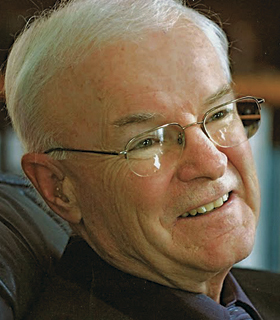 Eugene Evans, Ph.D.
Dr. Frank Seitz, a Clinical and Forensic Psychologist and former Catholic Seminarian, has written professional articles and three books about the challenges within the human psyche. He has counseled numerous clergy in their crises of intimacy. He lives in Bozeman, Montana, with his wife, Adele. His first novel, The Collar, followed Father Christopher Joyce’s tortured relationship between his responsibilities as a priest and his undeniable love for one of his parishioners. That novel led to a musical collaboration with composer Eric Funk and the creation of The Collar: A Musical; a dramatic musical adaptation of the novel.